This versatile dress is a wardrobe staple for any occasion. 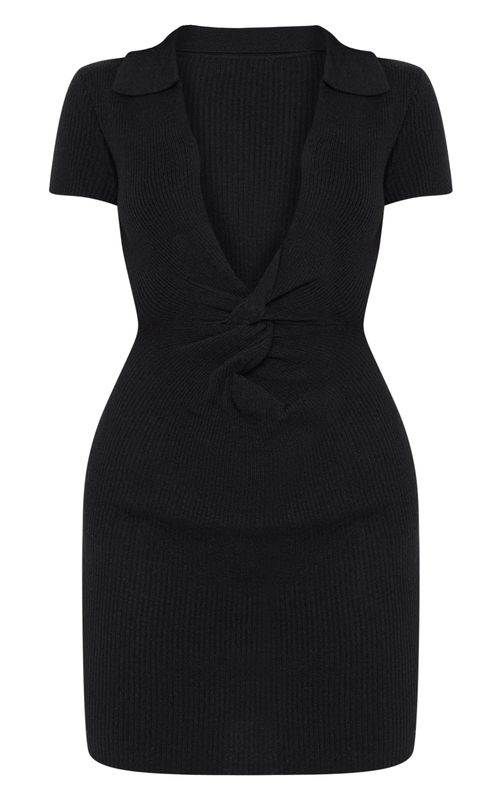 Featuring a black knit material with a twist front detail and a plunging neckline. Style this with heels and some statement accessories to complete the look.